I made another birthday card, this time is following the sketch at Freshly Made Sketches. A very simple card for a young Lady I went on a Mission trip with. I like the sketch so much, that I made another one for my friend whose birthday is in February. Have a blessed Sunday. Thanks for visiting. 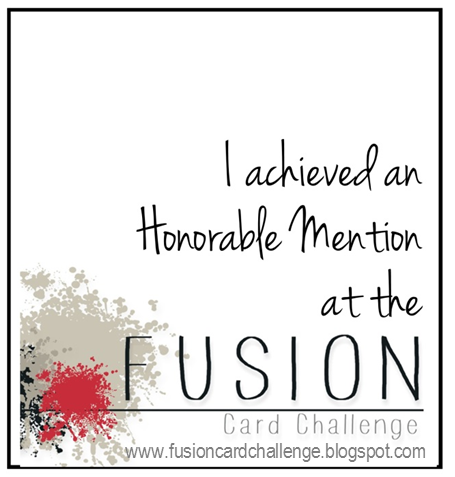 This a versatile sketch and how fun that you made two cards for it this week! You've got a great mix of colors and patterns on your cards. Thanks for joining us at Freshly Made Sketches! Oooh, love your hexie textures! And your flowers are super-cute too. Way to go for making two cards! Great cards. The rosettes on the first are great and that brad on the second is awesome! Thanks for playing with my sketch at Freshly Made Sketches. These are both great. Love the colors. Glad you joined us this week at FMS! Love your layering and use of pattern paper! The embossed hexagons look lovely! Hope you have a great day! I really appreciate that you stopped by my blog, Lola! Awesome birthday cards and great takes on the challenge, Loly! That is a wonderful sketch to use again and again for all types of occasions. These are both such pretty cards! I love the texture with the embossing and flowers on the first card. The second card is so lovely--great design! Beautiful, Loly! I love the rosettes, and the colors you have used! Hi Loly! Just waiting for you to e-mail me so I can get your name to the sponsors for the Made With Love Blog Hop! :-) Please can you contact me? My e-mail address is Taheerah(underscore)Atchia(at)hotmail(dot)com - thank you!! Super cute Loly! Love how you have the larger flower highlighted on the field of smaller flowers!